MotoGP has come along way in terms of competitive motorsport and a premium motocycle racing where Riders like Valentino Rossi, Jorge Lorenzo and Marc Marquez has set the bench mark in modern MotoGP era. Today we take a look at 10 of the greatest riders in the premier class 500cc or modern MotoGP and other classes like 350cc, moto3 and moto2. In terms of success nobody comes near Italian Giacomo Agostini who won 8 world championships in premier class (500cc) during 1966 to 1975 he also won 7 world titles in 350cc class making him the most successful rider on two wheels. His 122 grand prix wins also is a record which will be hard to break for anyone. So with 17 world titles (8 in 500cc and 7 in 350cc) makes him the greatest rider of all time. Valentino Rossi is about to equal his record of 8 premier class titles if he can win 2015 motoGP championship where he is currently leading by 12 points. 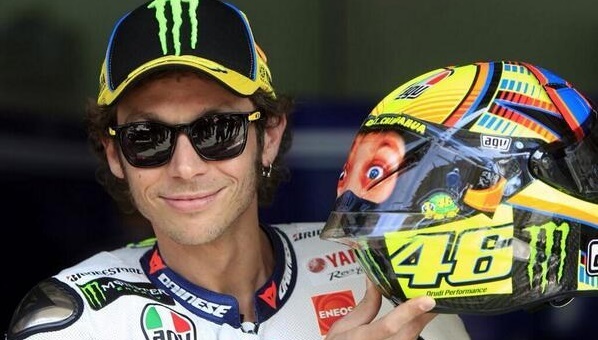 Valentino Rossi started his motorcycle racing career winning one title in moto3 and one in moto2 before getting into premier class where he has won 7 world titles. He is paved the way for modern MotoGP and still going strong in 2015 season where he will be hoping to win his 8 title equaling Agostini premier class record. Rossi brought not only success but excitement, thrill and of course glamour to MotoGP and he will surely go down as the greatest MotoGP rider of all times if he can win his 8 title this year. Australian rider michael Doohan won 5 back to back MotoGP titles during 1994–1998. He rode for Honda in a very dominant era for the team and left a legacy which only couple of riders from past and present can eclipse. He was more than just your normal rider, he was pretty good at setting up his bike and had a great insight to 500cc class. Also known as “Mike The Bike” Hailwood was probably the greatest British rider who dominated the sport in his active years from 1958 to 1967. He won 4 500cc titles, 2 in 350cc, 3 in moto3 (250cc) winning a total of 9 championships in different classes. He also tried his hand in Formula 1 before his un-timely death at the age of 40 in car accident. Another british great who dominated the sport pretty much in the same era as Hailwood. 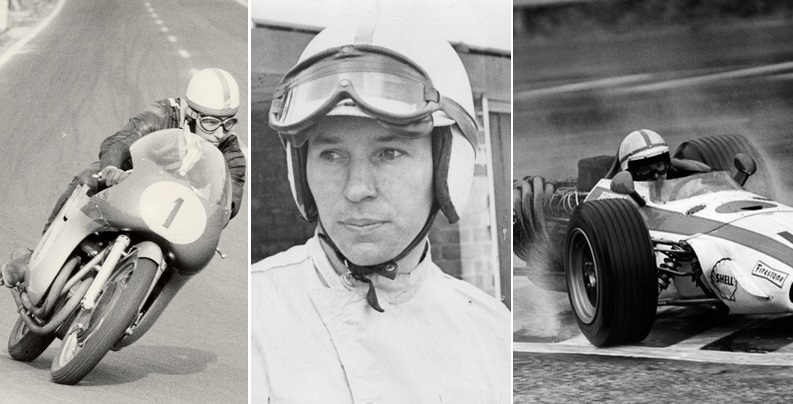 John Surtees is four-time 500cc motorcycle World Champion and also won three titles in 350cc class making a grand total of 7 world titles in motocycle racing. Just like Hailwood he also competed in Formula 1 grand prixs and actually won F1 world championship in 1964 becoming the only person to have won world titles on two wheels and four wheels. Spanish rider Lorenzo has been one of the most successful MotoGP riders of recent era and he is three time premier class champions (2010, 2012 and 2015). 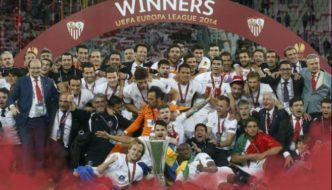 Lorenzo’s most recent triumph came in the 2015 season when he out scored Valentino Rossi by a narrow margin to win his third MotoGP world title. Lorenzo was destined for greatness and he made headlines at the tender age of just 19 winning back to back titles in 250cc World Championship in 2006 and 2007. 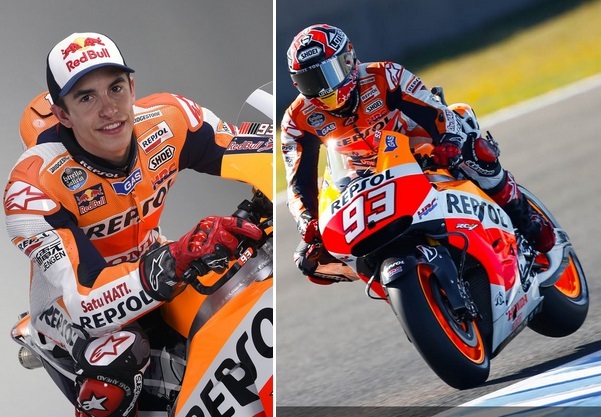 Still fairly young, he is the only rider to stop Marc Marquez dominance in the coming years. It might come as a surprise seeing such a young rider here but Marc Marquez has already made a great impact in motoGP. Since turning professional in 2010 he won the moto3 title in 2010 followed by Moto2 title in 2012 and two back to back premier class motoGP titles in his first two years making him the youngest rider to do so. In 2014 MotoGP season he went on to win first 9 grand prixs of the season and won his second title by three grands prixs to spare. 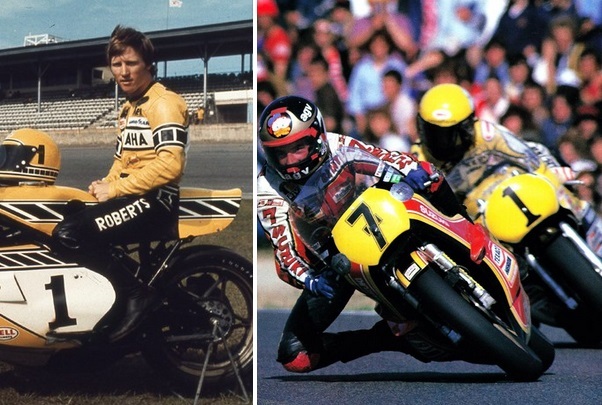 Before Marquez, The youngest rider to have won MotoGP premier class championship in his first year was Kenny Roberts who became the first american to win world title in 500cc motorcycle championship. He won 3 titles in 1978,79 and 1980. Apart from his success on the tracks it was his legacy of “riding style” which makes him one of the greatest rider of all times. He was the first rider to introduce “cornering method of hanging off the bike with knees extended” which lead to major change how the motorcycles were ridden in grand prixs. rossi 2nd? are you stupid? 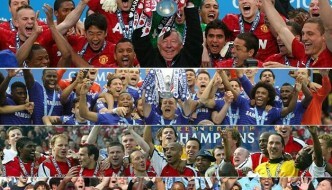 are you basing it just on number of wins? Everybody is fast on a Honda. ..send him to yamaha to see if is so competitive..
haha.exatly every bike has a different engine placement and settings…it all depends on the bike, track and the settings. THE BEST FOR SOUP !!! no no the king the legend and the best is always valintino rossi 46 no one can get the place . indomitable will, talent and power and positive infectious inspiration. 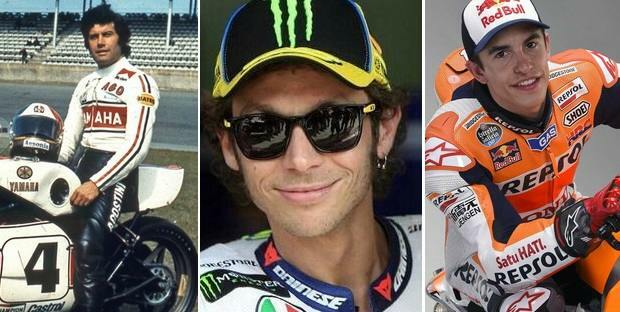 If Rossi could compete in MotoGP and Moto2 at the same time he’d have a similar number of titles. 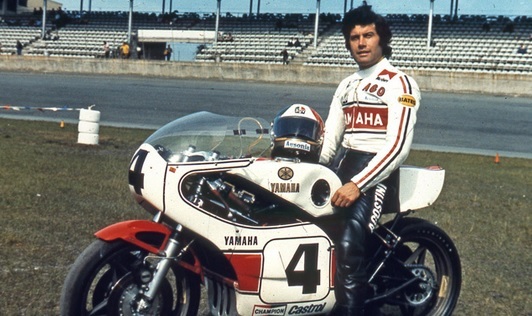 Agostini had the advantage of being allowed to compete in multiple classes simultaneously. When asked in interviews, even Agostini admits that “it was a different time”. And it was. 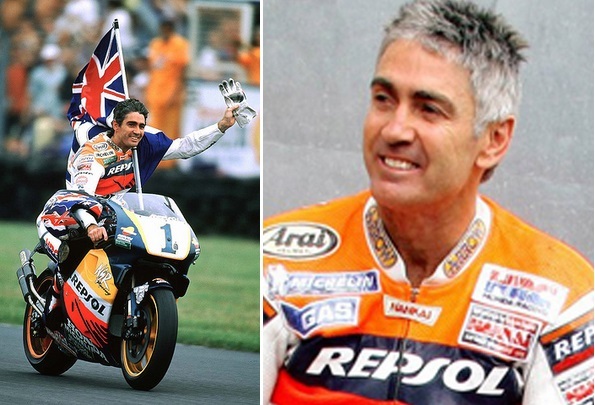 Doohan is much like Hamilton – just a guy lucky enough to get the fastest ride i the field, a bit faster than his team mate – but quite far from the truly greats .. I think you under estimate Hamilton’s skills> most of the experts and drivers alike think he is way above the rest in his skill set. Lucky! He nearly lost his leg then went on to win 5 titles, he was more than a match for Rainey and schwantz before the accident. Legend. Hailwood was legendary for his IOM comeback, 11 years off and comes back to win the Senior TT…… wow. Agostini first 500 title in 1966, Rossi first 500 title in 2001. 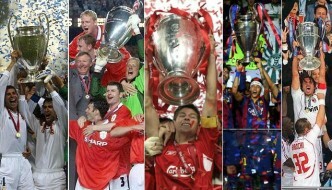 There are 35 years between them, too much to compare who is better. 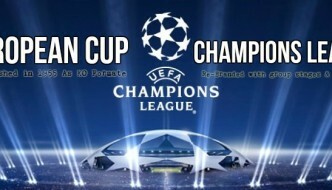 For sure Rossi doesen’t need another title to proove his power and his talent. what about max speed touch i think Rossi is king in all who’s average speed is 185MPH. This could easily have been a top 10. Why skimp and leave out the likes of Mick’s rival Rainey? I guess you are blind. From this list I would consider only 3: Mike, Surtress and VR. Missing: Graeme the Croz; Bazza Sheene; Fast Freddy; The Schwantzy, Smooth Wayne and the GREAT & UNIQUE Mamola. A special place for the first Racing Suzuki team, by the factory engineers themselves building the bike and riding it. All others of the circus are great riders, but that’s it, they didn’t produce massive changes, just got ton’s of awards. Where I went to school it was Barry Sheenes brother in law Paul Smart who is credited as having invented and being the first bum hang off seat, and knee down, rider in history in the early 70’s when he won the Imola 200 in Italy and blew off Japan Honda 4’s on what was then the earliest development round case 750 bevel drive twin. The motor was amazing, and that frame is still copied today, by all the big 4. That win was Ducati’s first big bike win. Folklore says that Paul did not even want to ride it, but his wife (Sister of BS), said yes on his behalf on the phone long distance to Ducati. 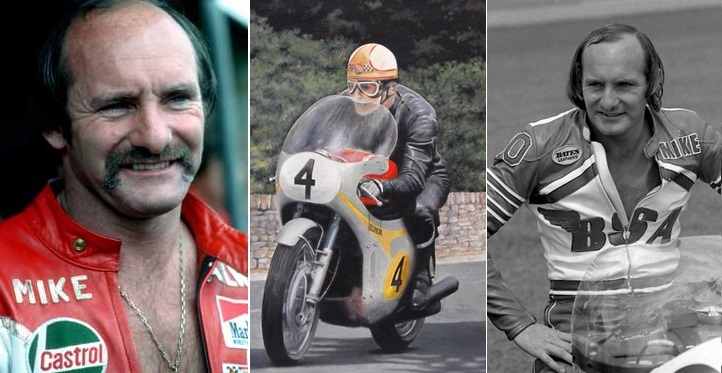 10 years on Hailwood blew off the Japanese at IOM on UK built aging bevel Ducati square case after his comeback idea had been laughed at by the big Nippon 4, as they had shown him the door because he was…too old. Oh how they hung their heads in shame when Mike blew them into the weeds, the last amazing rider I ever saw who did not hang out his knee, yet he could grind a bevel Ducati kick start off its shaft, just by cornering. I saw him do just that in Australia. He really was amazing, and if you look on you tube hard enough you will find a video of that very Imola 200, with his knee out, and it’s 1972. I’ve seen that video on YouTube. So, Its not Kenny, that concept is for newbies. it’s Paul in the early 70’s with Joe cocker sideburns. PS. If you want an Australian writer who lives in Thailand (where Honda, Yamaha, Suzuki, Kawasaki, Ducati and even Beema now build bikes, then please email me. 25 years of bikes, mainly Ducati, in dealerships, making parts, working for Australian magazines. I’d love to give you the inside line and be your man on the ground in Thailand. pleanty of same motorcycle LIFE and would love toshare time and energy together…I am new to this computer..
You left out the greatest, Jim Redman, ask Mike Hailwood! If Casey Stoner didn’t retire at 27 at his peak….I wonder….He could beat Rossi with ease quite often. Well, for one he’ll smash any other rider on the golf course. I saw him play in a group ahead once! Rossi will not win another championship while MM 93 breathing. The doctor should get a wheelchair !! As one of the command asked the same question ask marqez to make his challenge to ride yamaha. And dont forget the past. Remember he made most of the changes in honda.